Age 11 colorful dots foil balloon that measures approximately 18 inches. 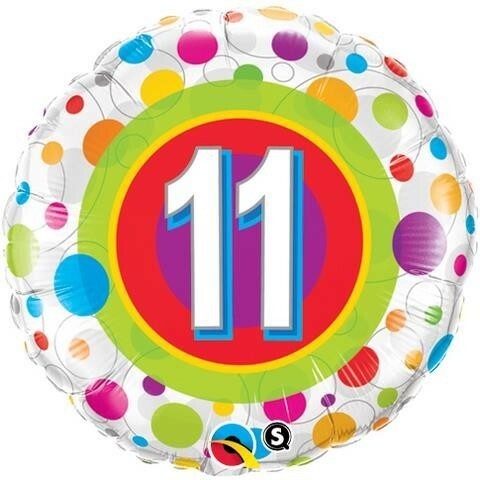 White edged foil balloon has a variety of multicoloured dots and a circle design in the centre with the number 11 in white. Can be air filled and suspended or helium filled. Unisex design.